This self-consumption package combines the GoodWe BP 2500 with a 2.4kWh Li-Lion battery from Pylontech. 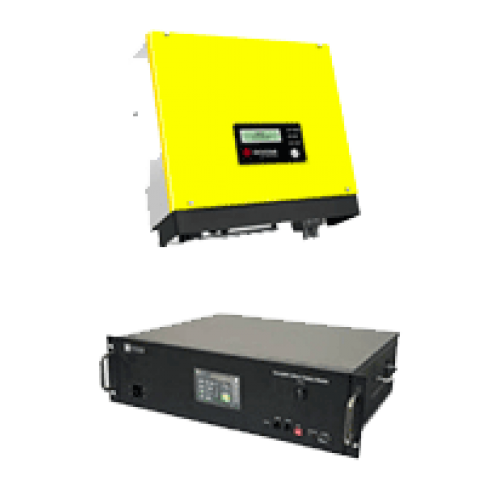 The GoodWe BP series DC energy-storage system is compatible with most single phase on-grid inverters and therefore allows you to revisit most of your previous customers. The Pylon batteries are modular. You can fit one and then add another at a later date if the energy needs on site change. As batteries naturally age, their voltage levels reduce. If the age gap between the old and new battery is too great, the optimal performance of the new battery may be compromised because it will operate at the same level as the existing unit. This package comes with two lengths of Cat5e cable: a 3m length for connecting the EzConverter to the Pylon battery, and a 10m length for connecting the EzMeter to the GoodWe BP. * Please note Goodwe GW2500-BP was tested to work correctly with Goodwe, SunGrow, Solis and SAJ PV inverters. It will not work correctly therefore should NOT be used with SMA, Mastervolt or Zeversolar inverters. Other brands have not been tested, so we cannot guarantee 100% compatibility.